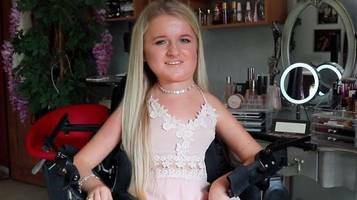 For six years Tilly Griffiths dreamt of studying in the US and now thanks to NHS funding she is going. 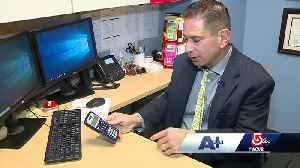 Neil Hatem collects calculators to give out to any high school student who needs one -- first priority going to juniors taking the SATs. 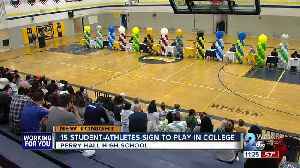 15 student athletes from Perry Hall High School celebrated their next step to becoming collegiate athletes. 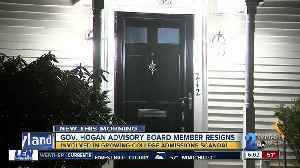 A 15-year-old Salt Lake County girl said she had to transfer because school officials didn`t take anti-Semitic threats seriously enough. Understatement of the century: College is expensive. Some local high schoolers are saving money by getting college credits taken care of before they graduate. 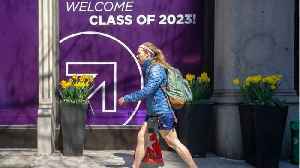 Business Insider reports the trend against four-year-college degrees has begun. 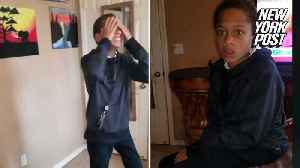 That's because while college graduates still earn more on average than people who haven't graduated from university,..
A member of a board that advises Governor Larry hogan on trade issues, has resigned because of the growing college admissions scandal “Operation Varsity Blues.&quot; A new report from the..
Watch the emotional moment this 13-year-old boy found out he got into his dream school, De La Salle High School in Concord, California. 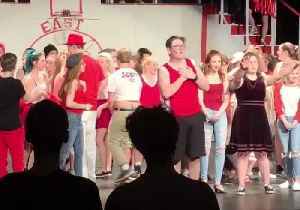 A student in Roseville, Minnesota, got his head in the game on March 22 when he asked his girlfriend to go to the prom with him after he performed in a theater production of High School Musical. Della..